Discussing appellate opinions and practice in Florida and elsewhere. On January 14, 2015, the U.S. Supreme Court issued an opinion in T-Mobile South, LLC v. City of Roswell, Georgia, Case No. 13-975, reversing a decision of the Eleventh Circuit Court of Appeals. At issue: whether an application to construct a cell phone tower on residential property was properly denied after a public hearing. 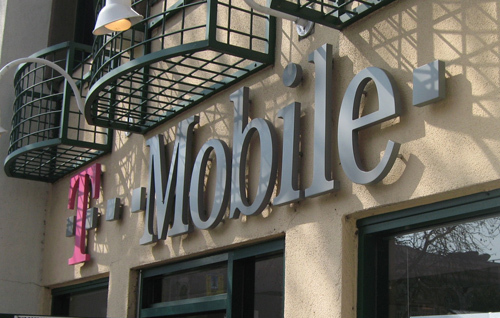 T-Mobile argued that the denial was not supported by competent substantial evidence. The District Court agreed, holding that minutes from the public hearing, published 26 days after the hearing, were insufficient under the Telecommunications Act of 1996 (the “Act”), which requires a locality’s denial of an application thereunder to be “in writing and supported by substantial evidence contained in a written record.” The Eleventh Circuit reversed, in accordance with its precedent, and determined that the city’s denial letter and written transcript were sufficient under the Act. In its opinion, delivered by Justice Sotomayor, the U.S. Supreme Court did what it rarely does, and set forth a procedural outline for localities to comply with the Act. It held that, under the Act, a locality must state, in writing, the reasons for denying applications to build cell phone towers. While the locality’s reasons need not be contained in the denial notice itself, there must be some written record issued essentially contemporaneously with the denial, to give a reviewing court sufficient information to determine with the locality’s denial is lawful. In the case at bar, the City of Roswell’s minutes were deemed to be a sufficient writing memorializing the reason for denial, but because the minutes were not issued for 26 days, it was insufficient under the Act. The contemporaneous requirement takes into account that the deadline to seek judicial review of a denial is 30 days. Chief Justice Roberts and Justice Thomas filed dissenting opinions. A full copy of the opinion can be found here. Jennifer R. Dixon is an AV-Rated appellate and litigation attorney and a shareholder with the law firm of Lowndes, Drosdick, Doster, Kantor & Reed, P.A. in Orlando, Florida. Dixon's appellate practice is primarily focused on business, real estate, and family law appeals, as well as state administrative appeals. She is admitted to practice before the Supreme Court of the United States, the U.S. Court of Appeals, 11th Circuit, and Florida state courts. She is also a Florida Supreme Court-certified circuit and appellate court mediator. Jennifer R. Dixon is an AV-Rated litigation and appellate attorney and a shareholder with the law firm of Lowndes, Drosdick, Doster, Kantor & Reed, P.A. Much of her practice is devoted to appellate law, with a special focus on business, real estate, and family and marital appeals.